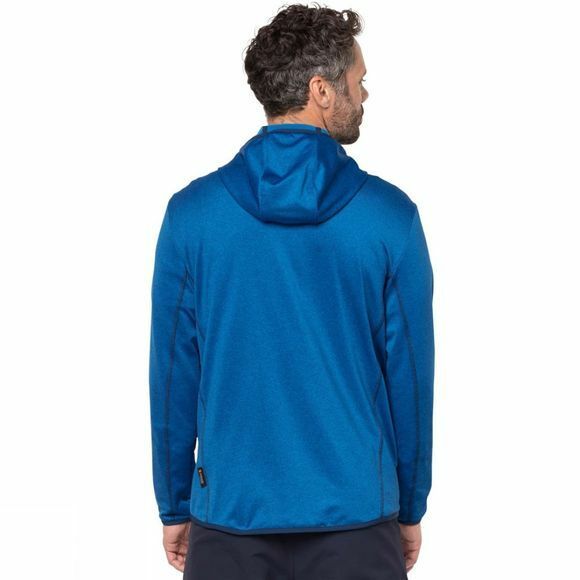 Casual, comfortable, super flexible, and ideal for day hikes and trekking trips, the Mens Sutherland Hooded Jacket jacket is tailored from two different types of stretch fabric, with a cosy hood and a soft textured reverse side. All of the fleece jackets in the Sutherland series are made of super stretchy Nanuk Dynamic Waffle. 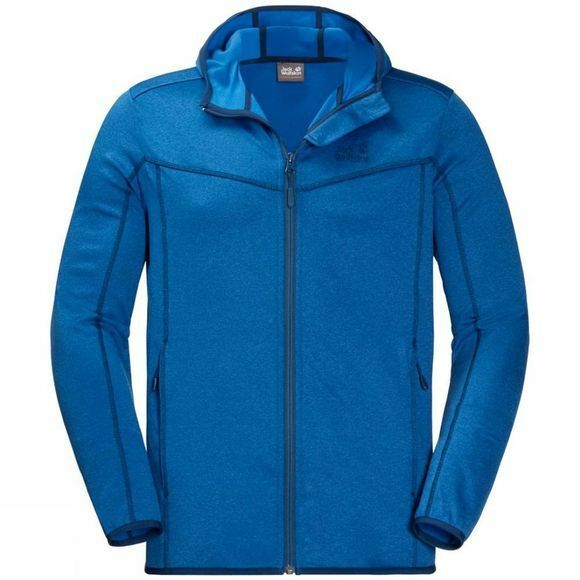 Thanks to the special waffle structure on the inside, it is slightly warmer than normal fleece and weighs less. We've used another very breathable stretch fabric on the undersides of the sleeves for improved wicking performance.